Will T-Mobile, Sprint merger cool red hot cellular war? After the merger of T-Mobile and Sprint there will be many changes, both pro and con. Let’s explore what we can expect to change in the industry, to the two companies, to pricing, to customers and to investors. There are many benefits and drawbacks with the T-Mobile and Sprint merger. Some say the benefits are to the combined company and its investors or owners. Others say the drawbacks will be to the customers, workers and prices. It’s still very early in this process, but let’s take a closer look at what could happen if these two companies do merge. First, when asking whether T-Mobile and Sprint should be allowed to merge, there is no right or wrong answer. There is only a choice. Whether they merge or are blocked, there will be different advantages and drawbacks to these two companies, to users and to the marketplace. This merger would be a home run for both T-Mobile USA and Sprint. The reason is simple. Both of these companies are smaller number three and four against Verizon Wireless and AT&T Mobility. As we move toward 5G, the struggle will continue if they don’t merge. If they come together, their size would make them a more powerful competitor. Five years ago, both companies were dying on the vine. During the last five years they have both shown strength in different areas. T-Mobile has shown strong growth under CEO John Legere. One of their key problems is they have little wireless data spectrum. Sprint has stabilized but has not shown the same level of growth. However, Sprint does have plenty of wireless data spectrum. Blending these two companies would combine the customer bases of each. It would blend the marketing magic of T-Mobile with the spectrum of Sprint. The new company will be led by Legere, who has a bigger than life personality. So, as you can see, there would be many benefits to combining these two companies. However, there are many drawbacks as well. The competitive fever between T-Mobile and Sprint has been hot in recent years. That has created low costs for customers who love that aspect. However, if these two companies do merge, the competitive pressure will be reduced. Not eliminated, just reduced. That could mean their prices could rise. They will still be lower than that of Verizon and AT&T, but not as low as today. That is one fear users and regulators have about these two companies merging. Another threat is to the workforce of both companies. One of the benefits to any merger of this type is savings that comes from a reduced workforce. It always happens. They don’t need two of every worker. So many jobs could be lost after a merger. So, as you can see, there are many different pros and cons to this and in fact any merger. Company executives will likely focus on the benefits, not the drawbacks in their statements. Regulators will have to determine the path of the wireless industry going forward as they see it when deciding whether to approve or deny this merger. Will regulators look forwards or backwards in T-Mobile Sprint merger? If regulators look backwards and want to keep the wireless industry as it is, protect existing jobs and keep prices low, they may deny this merger. If, however, they look forwards at how the wireless industry is changing, what it will look like in the next few years, who will be competing, what technologies will enter the space like 5G and so on, they may approve it. The bottom line to whether this merger will be approved or denied is based on regulators attitudes and opinions. How will this merger impact Verizon Wireless, AT&T Mobility and the entire wireless industry? I see this merger having limited impact on Verizon and AT&T. The industry is changing. It has always been changing. 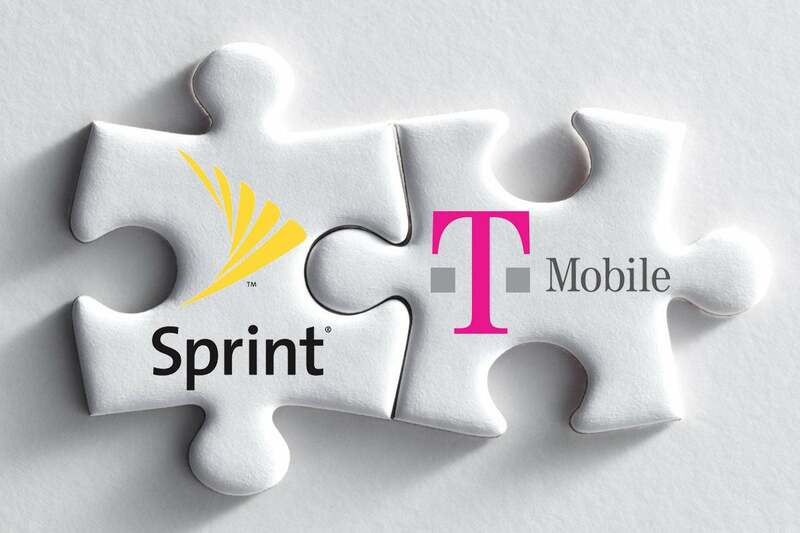 With or without a merger, T-Mobile and Sprint will have to continue to compete and do what they do either together or separately. As for the industry, it is already changing toward 5G, wireless TV, wireless broadband and so much more. This will continue with or without the merger of T-Mobile and Sprint. If they do get together, it will make it much easier for them to continue to be a meaningful competitor. Without the ability to come together, they will continue to be two smaller competitors in the wireless space. So, as you can see, there are plenty of reasons why this merger should and should not be done. Regulators now have to decide. The industry itself is heading toward 5G, mobile TV, mobile broadband and more. Either way, that won’t change with or without this merger. However, coming together would make it easier for the new company to compete and continue to grow. The only change will be whether T-Mobile and Sprint will be allowed to combine and blend their strengths combining a marketing company with a company that has loads of spectrum. Merging will let the new T-Mobile be a stronger competitor, but it could also raise prices and reduce employment. That’s the decision regulators are faced with. We will see both sides discuss the issue and we will eventually come to a decision many months from now. Maybe even a year or longer. Our opinions could be swayed one way or the other depending how well both sides make their arguments. So, stay tuned, there’s most likely more to come.